Richard Bradford used to walk and take photos in the mountains near his home in West Virginia. He says he can't do that anymore because his home is nearly surrounded by Massey Energy mountaintop removal projects. The coal mine disaster in West Virginia last week thrust the mine's owner, Massey Energy, into the national spotlight. But people in the area have known Massey for years as a powerful -- and divisive -- force in the state's Coal River Valley. Joe Cromer works the reception desk at a motel in Beckley, W.Va., and makes $7.40 an hour. A couple of weeks ago, his grandfather, a former coal miner, urged him to change careers -- and triple his pay. "He said the only money to be made around here -- if you're not going to stay in school -- go into the mines," he says. But Cromer says he would not go work for the company now. "I've only heard bad things about Massey. They will work you to death. My uncles and my grandpa never worked for Massey," he says. "They've always told me -- stay away from Massey." But staying away from Massey is easier said than done. It's the area's largest private employer and pays among its highest wages. And its mountaintop removal coal mines are literally reshaping the landscape. I've only heard bad things about Massey. They will work you to death. My uncles and my grandpa never worked for Massey. They've always told me — stay away from Massey. Joe Cromer, who works the reception desk at a motel in Beckley, W. Va.
Richard Bradford, a retired schoolteacher, grew up where Hazy Creek meets the Coal River. He says he's lived there for 65 years. In the mid-1990s, Massey began operating surface mines in the mountains above Bradford's one-story wooden house. Today, Massey mines surround him on three sides. Bradford says he can no longer hike in the mountains without trespassing on Massey operations. And sometimes Massey sets off explosives that shake the houses below. "I know one time they let off a big shot up in Hazy, and it filled this whole hollow with dust," he says. "It came all the way down here, you couldn't see nothing." When asked how he feels about Massey, Bradford says: "I wish he'd go back to Virginia, because he's really ruined my life." Last week, Massey's Upper Big Branch mine suffered a massive explosion that killed 29 miners. It was the worst coal mine accident in four decades. Last year, the mine had a nonfatal injury rate significantly worse than the national rate. But speaking to reporters last week, Blankenship said Massey put safety first. 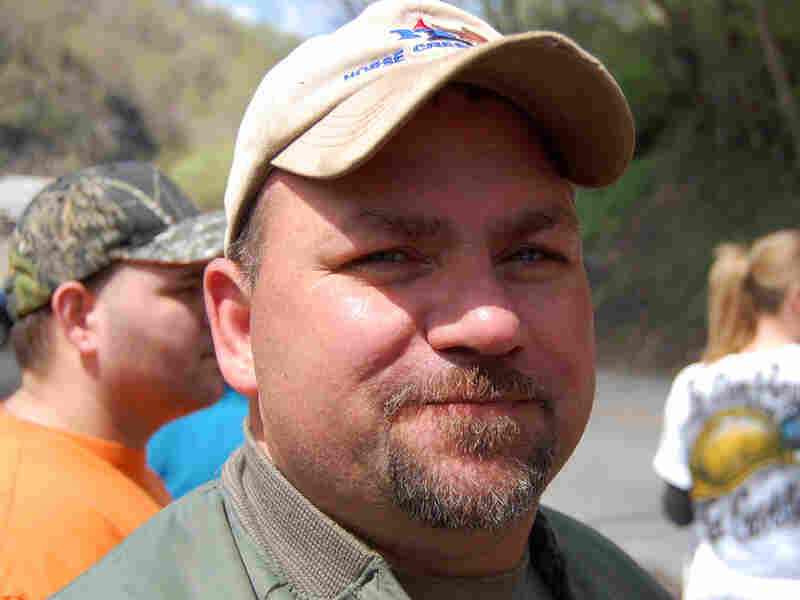 Rob Lemon works for Massey Energy, where he says a foreman like himself can make $80,000 to $100,000 a year. "If I didn't think it was safe, I wouldn't be there," he says. "And whenever I think it's not safe, I'll leave." "Safety always trumps, and we have inspectors from all the agencies every day," he said. "So, we don't have any control over ignoring safety procedures. And we don't want to have accidents. I mean, no matter how you look at it. Accidents, first of all, are a human tragedy. Second, they disrupt you and cause additional regulations and issues, and none of us want that." Brian Lemon, who grew up down the road from the Upper Big Branch mine, spent 10 years in North Carolina doing construction. But when the housing industry collapsed, the only high-paying work he could find back in West Virginia was with Massey. "I jumped at the opportunity to come home, to be where my family's at," he says. "Most of my family are coal miners and have always been coal miners. I'm just tickled to death to have a job." Rob Lemon, Brian's cousin, is an underground foreman at Massey. 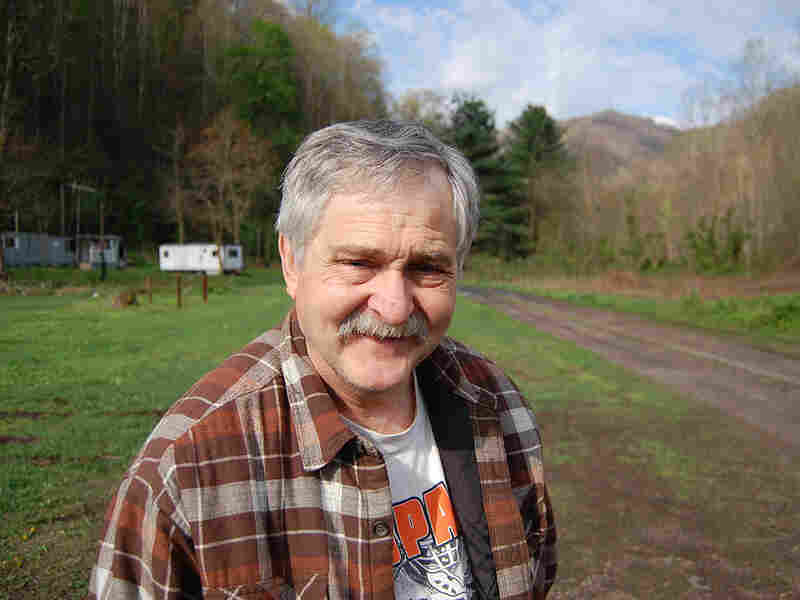 He says he makes up to $100,000 a year -- a huge wage in southern West Virginia. "The reason I believe a lot of people in this area have bad things to say about Massey is it's a nonunion mine, and this has always been a union territory," he says. "I don't praise Massey for everything they do. Massey's a company that's out to make money. If I didn't think it was safe, I wouldn't be there. And whenever I think it's not safe, I'll leave." I don't praise Massey for everything they do. Massey's a company that's out to make money. If I didn't think it was safe, I wouldn't be there. And whenever I think it's not safe, I'll leave. During lunchtime at Libby's city diner in nearby Whitesville, french fries bubble in the kitchen. Owner Jim Scott, who also owns a hair salon down the street, says Massey is crucial to the local economy. "Our evening business is mostly people getting off work from Massey," he says. "As far as my hair salon goes, I'd say a large part of my business there is the wives of Massey miners." Scott says Massey is "very important" to him. "You know, as a matter of fact, my Uncle Doody, last night, we had his wake and funeral today," he says, referring to Deward Scott. "He got killed up there." Despite the loss, Scott says he has "no problem with Massey at all. None whatsoever." "As far as how I feel about 'em, I'm grateful for it, to be honest with you," he says. The subject of Massey is so sensitive some people prefer not to discuss it. NPR met a car dealer who had many nice things to say about the company -- but he said he worried that his customers, who don't like Massey, would take offense. He said it was best to say nothing at all.